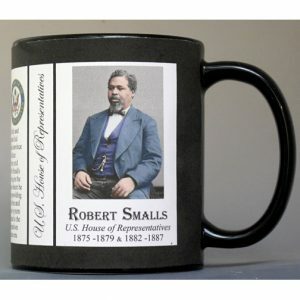 This U.S. House of Representative Robert Smalls history mug is one of a collection of U.S. Governance biographical mugs. 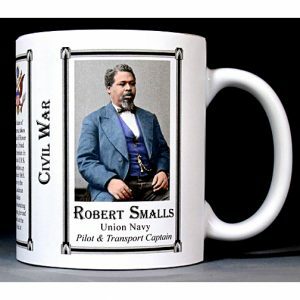 An image of Robert Smalls and a short biography are features of this history mug. This Margaret Garner mug is part of a collection of our Civil War and African American biographical mugs. 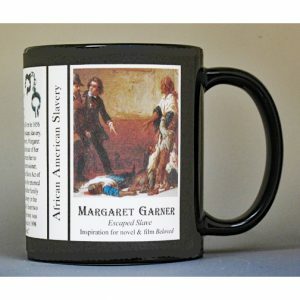 An image of Margaret Garner and a short biography are features of this history mug. 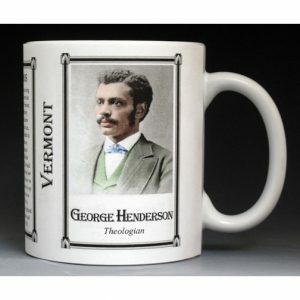 This Gordon mug is part of a collection of our Civil War and African American biographical mugs. An image of Gordon and a short biography are features of this history mug. The Archibald Grimké mug is part of a biographical series profiling African Americans who shaped the history of the United States of America. 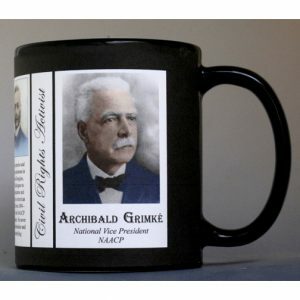 An image of Archibald Grimké and a short biography are features of this history mug. This Oney Judge mug is part of a collection of African American biographical mugs. An image of Oney Judge and a short biography are features of this history mug. 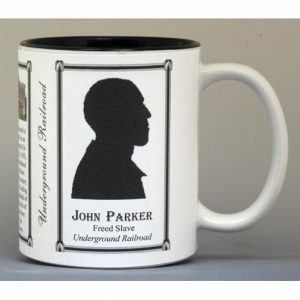 This John Parker mug is part of a collection of our Civil War and African American biographical mugs. An image of John Parker and a short biography are features of this history mug. 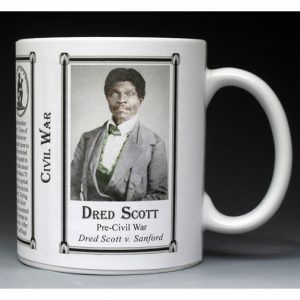 This Dred Scott mug is part of a collection of African American biographical mugs. An image of Dred Scott and a short biography are features of this history mug. This Sojourner Truth mug is part of a collection of Civil War and African American biographical mugs. An image of Sojourner Truth and a short biography are features of this history mug. 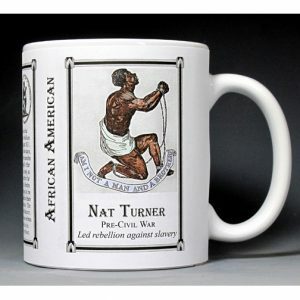 This Nat Turner mug is part of our collection of African American biographical mugs. 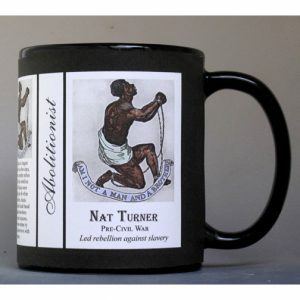 An image of Nat Turner and a short biography are features of this history mug. This Denmark Vesey mug is part of a collection of African American biographical mugs. An image of Denmark Vesey and a short biography are features of this history mug. This Cathay Williams mug is part of a collection of African American biographical mugs. 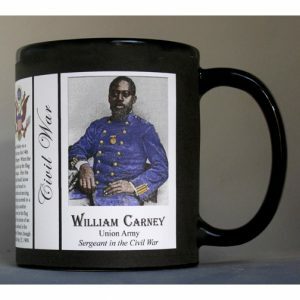 An image of Cathay Williams and a short biography are features of this history mug.